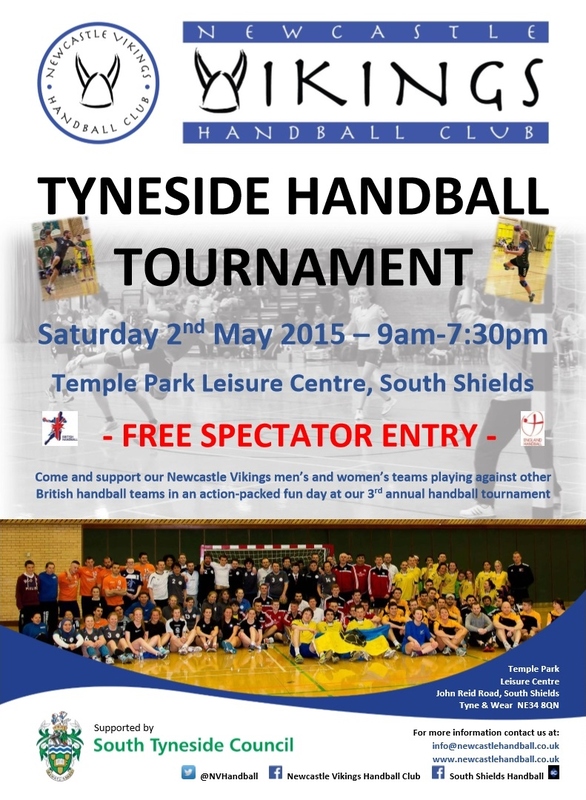 Tyneside Handball Tournament – Enter Your Team NOW! We still have places available for one more men’s team and up to 3 more women’s teams to enter our Tyneside Handball Tournament on 2 May 2015. Entries are £35 per team and booking forms and further tournament information can be obtained by contacting us at info@newcastlehandball.co.uk – come and join us for an action-packed fun day of handball, and join our Vikings family afterwards for our evening social get-together and buffet in Newcastle city centre!